Weaving together stories of his family's history, his childhood in Africa and his accounts of the continent's horrendous war in the 1990s, Aidan Hartley charts the fates of men and women who embraced and were ultimately transformed by foreign lands. "We should have never come here!" So said Aidan Hartley's father in his final days, rising from a bed made of mountain cedar, lashed with thongs of rawhide from an oryx shot many years before. His words spoke of a colonial legacy that stretched back over 150 years through four generations of one British family. Here, Hartley weaves together his family's history, his childhood in Africa and his accounts of the continent's horrendous wars, which he witnessed at first hand as a journalist in the 1990s. Burnt out from a decade of horror, during which three of his close friends were torn to pieces by an angry mob in Somalia, Aidan retreats to his family's house in Kenya, where he discovers the Zanzibar chest containing the diaries of his father's best friend, Peter Davey, an Englishman who died under mysterious circumstances more than fifty years earlier. Tucking the papers under his arm, Hartley embarks on a journey to southern Arabia in an effort not only to unlock the secrets of Davey's life, but of his own. Travelling to the remote deserts where his father served as a British officer, Aidan begins to piece together the disparate elements of Davey's story, a man who fell in love with an Arabian woman and converted to Islam, but ultimately had to pay an exacting price. 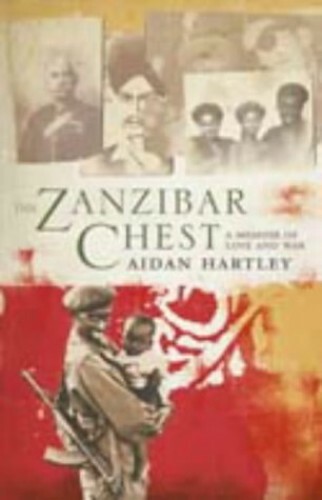 At once a modern and a historic love story, "The Zanzibar Chest" is also an epic narrative charting the fates of men and women who embraced and were ultimately transformed by foreign lands.